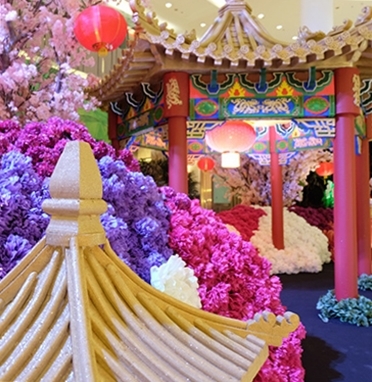 Jakarta, January 30, 2019 – Welcoming the year of inspirations and celebrating the Lunar New Year – year of Earth pig which is believed to bring luck, Senayan City celebrates SPRING SHINES portrayed through The Constellation – Art Installations Experience from 28 January – 25 February 2019. 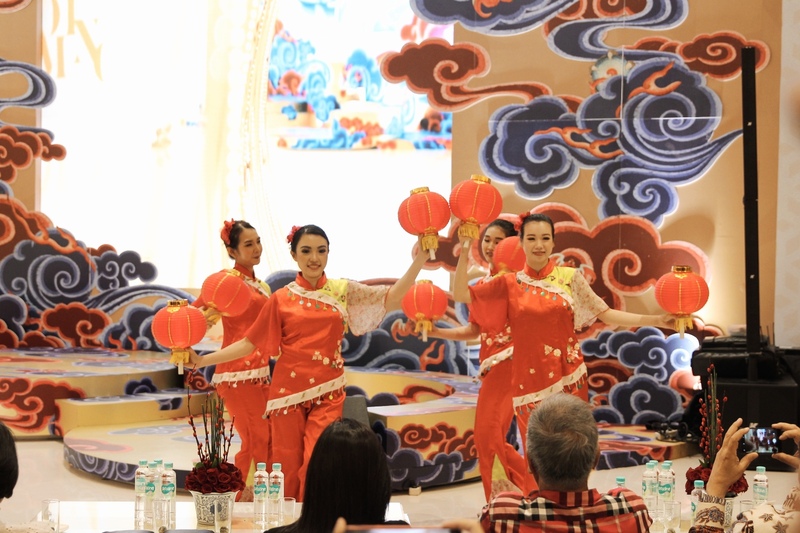 During the celebration, numerous exciting performances and shopping programs are presented for customers during period. 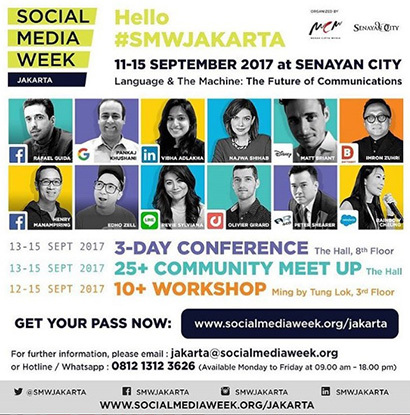 “In this Lunar New Year, Senayan City presents The Constellation installations by Felix Tjahyadi for the highlight during the Spring Shines. The art installations experience symbolizes ‘The Spirit of Spring’ which is interpreted as the beginning of a new era. The transformation is marked with the flagship stores and lifestyle consept stores that will open soon in Senayan City on 2019, Senayan City also consistently improves quality in providing the best service. And one of them is the addition of the Mother's Room with the One-Stop-Service concept on the LG floor to complete the beginning of the new year for loyal visitors to Senayan City, "” said Halina, as Senayan City Leasing and Marketing Communications Director. Located at North Lobby (New lobby) and Promenade area of Senayan City, The Constellation – Art Installations Experience displayed in five sections with different meaning and experiences that can be enjoyed to all customer until February 25, 2019. Time Tunnel – inspired by from the black-hole, which believed as the time machine. It represents the journey to time. Galaxy Maze – reflected with more than 5.000 shining stars that pictured in 12 Zodiac Chinese characters, defining the symbol of energy and movement of the cosmos. Crystal Dome – surrounded with mettalic ribbon in color of gold and red to present the contemplation. 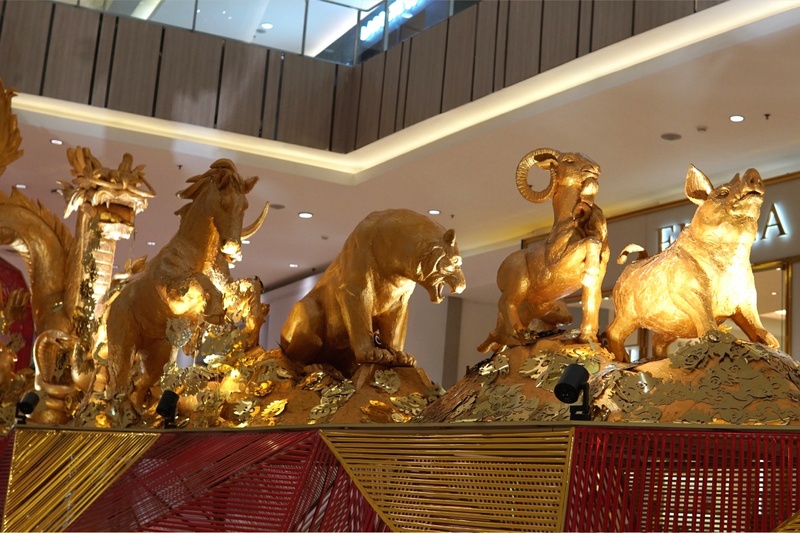 Zodiac Sculptures – present the figure and character of each shio. The front-runner is Pig to remark the year of shio Pig in Lunar New Year 2019. 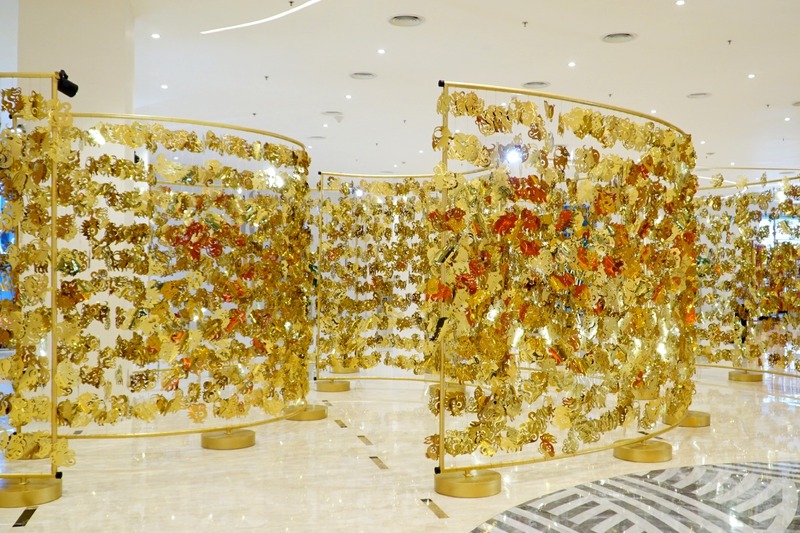 Gold Mountains – the installation is portraying the power and mighty with the non-stop animation of beach waves, mountain peaks and flying dragons. 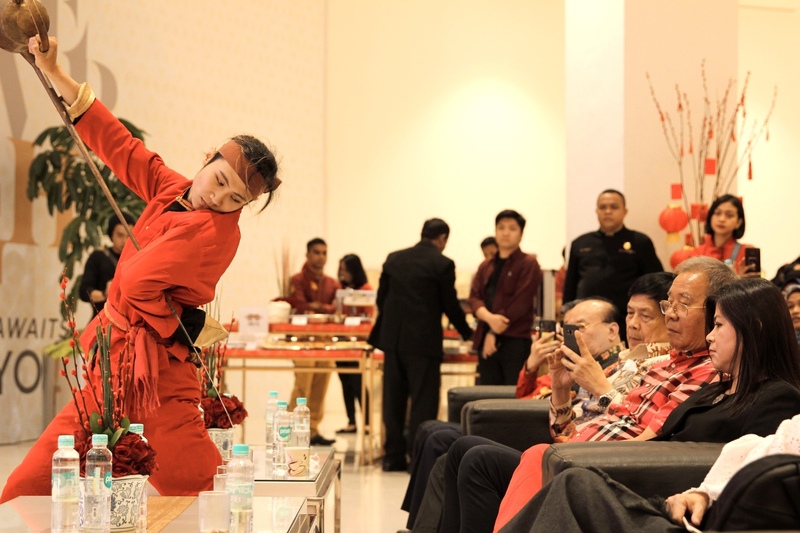 Besides, Senayan City loyal customers able to enjoy the SPRING SPECTACLES performance which includes Oriental Chinese Harmony, Shanghai Swing, Shanghai Broadway, Chinese Tea Legacy – The Art of Kung Fu Master Tea and Chai Sen Ye Spectacle from January 28 to February 17, 2019. Also enjoy the special performance from The King of Lion Dance in The World by the Winner of Living World International All Star Lion Dance Championship 2017 who is exclusively performed only on February 5th, 9th, and 10th 2019 at Main Atrium, Senayan City. 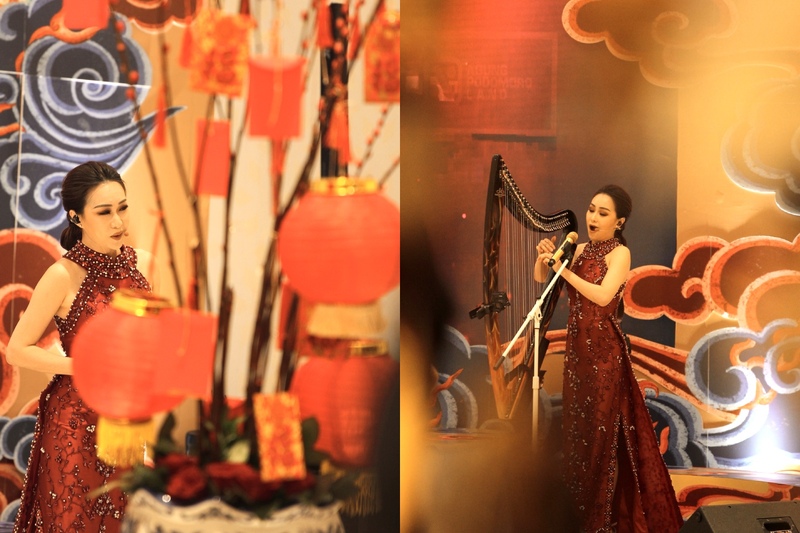 SPRING SHINES FORTUNE – Exclusive for SCX Iconic Member, get a Chance to win 2 travel vouchers to Shanghai, stay vouchers at Anantara Seminyak Bali Resort and many exciting offers with minimum transactions of Rp2.000.000,- from February 3rd to 17th, 2019. 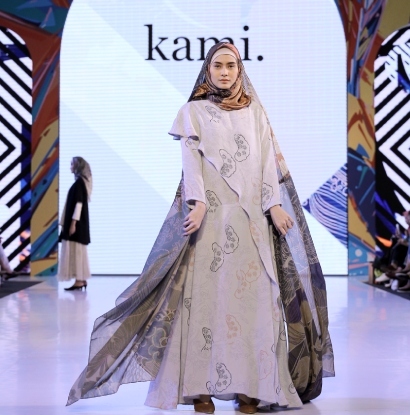 PROSPERITY LUCK – Special shopping programs from fashion & lifestyle tenants, such as FORTUNE TREAT – exclusively on February 5, 2019 with discount up to 75%; NEW YEAR | NEW STYLE – celebrating Lunar New year with new collections from Senayan City fashion’s tenants; and TIME TO GO – special discount to purchase flight tickets for 20 days from Avia Tour and Smailing Tour. Create merrier moment with family in Thai Village and The Duck King with promo #TOSSTHEYUSHANG to get free YuShang*. DAZZLING JEWELRY FESTIVAL – Imlek festivity will not be complete without the presence of special gift for loved ones by Frank & Co, Miss Mondial & The Palace Jewelry from 5 - 17 February 2019 at the Main Atrium, 1st floor of Senayan City. MANDIRI SHOPPING DEAL – Exclusively for Mandiri Credit Card holders, get Senayan City Shopping voucher worth Rp100.000,- every Saturday and Sunday at SCX Lounge on LG floor with minimum purchase of Rp1.000.000,-. SPEND 2X AND GET E-COUPON Rp150.000,- – Join the program for Mandiri Credit Card Holders starts from January 18 to March 3, 2019, with a minimum transaction of Rp300.000,- at Senayan City tenants (marked with woobler and tentcard) for 2 times will get the e-coupon Rp150.000,- which can be used for the next transaction. 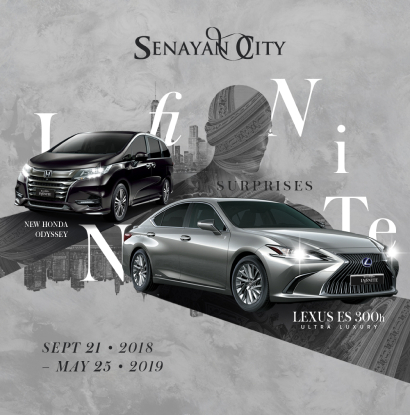 INFINITE SURPRISES – Win the Grand Prize of 1 unit LEXUS ES 300h Ultra Luxury, 4 packages of Dream Cruises Palace Suite + flight tickets and other prizes on annual shopping program INFINITE SURPRISES until May 25, 2019. Exclusively for SCX members and Mandiri Credit & Debit card holders can win the opportunity up to 5 times greater. To improve quality of services, Senayan city added the latest facilities, One Stop Service – Mother’s Room. With an area size of 54 m2, the New Mother’s Room can accommodate up to 10 mothers & babies and it’s equipped with complete essentials facilities such as electric breast pump brand Medela, refrigerator, sterilizers and certification nurse attendant to help and educate about breast milk and breastfeeding. Strategically located at LG floor (next to ATM Center), the New Mother’s Room is accessible to give the best comfort experience for mothers and babies.